Raise a glass to yesteryear during the forthcoming festivities by making a giant punch bowl. Send in pictures of your punch parties to [email protected] or tweet us @useyourlocal. The most impressive punch-maker will win a crate of lager, supplied by our friends at Heineken. All entries must be submitted before 10th May 2011. Three world-renowned cocktail experts have shared their favourite punch recipes with us to inspire you; we’re looking forward to seeing what you come up with. 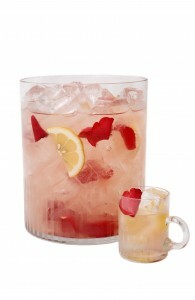 Combine all ingredients in a big jug with ice, garnish with lemon slices and rose petals. Inspired by the writings of Dickens and the hot punches that were popular in the nineteenth century. Simmer all ingredients in a saucepan for 5-10 minutes. 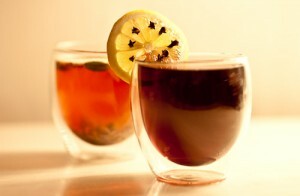 In a tea cup, add 50 ml Beefeater 24 Gin. Pour in the hot liquid. Top with ginger beer. Some great looking drinks – but they don’t really scream out Punch to me – personally I would have put these down more on continuum of cocktails that arrive in pitchers. In terms of summery-ness though they absolutely hit the spot. I love a good Hawaian Punch on a hot sunny london day with a load of rum in. Yum. Sipsmith Gin makes me happy…I think the Rosy Punch will be my drink of choice this summer!